Are you regularly drinking too much alcohol? If you’re struggling with an alcohol problem, but you don’t want to see someone face-to-face about it, then this could be the help you’re looking for – we are an online alcohol therapy service. If you’re worried about your binge drinking, or you think you might be an alcoholic, then a few sessions with a professional therapist via FaceTime or Skype will help you to cut down or stop drinking. 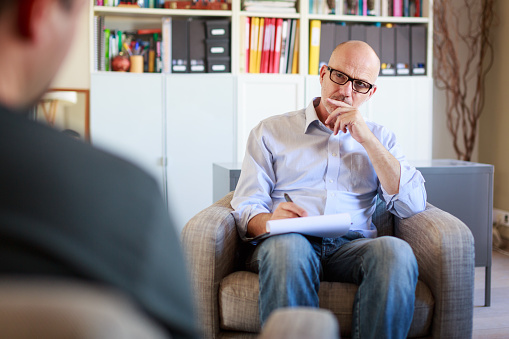 Speaking to a therapist helps you to understand your problem with alcohol in depth; you discover what contributes to it and what maintains it. From there we can explore achievable solutions, set realistic goals, and begin to reduce your intake. And here’s the guarantee: if you don’t feel that it helps you, then you don’t have to pay, it’s as simple as that. Have you tried to cut down your drinking, but not been able to? If you don’t like the idea of going to a clinic to talk about your difficulties, then having a therapy session at home via Skype or FaceTime will be more comfortable, it helps you feel more relaxed. Research shows online therapy is an effective solution¹, where you will see results quickly, and you don’t need to leave the comfort of your own home. At no point will you be judged – an alcohol problem is not something to be ashamed of. You probably have some questions, so look at our FAQ about online therapy or read through some client testimonials. Online therapy can help you solve your alcohol problems. Why not get involved with our support community by posting a comment about your own alcohol problems, and get some help from others on our free forum. Or browse through our alcoholism blog, it’s full of the latest information, advice and views on problem drinking and mental health. Fill in our Free Consultation form to get started right now. You will then receive a personal assessment of your drinking and an outline of how we can help. From that you can decide if you want to book a session.